Come watch our movie screening of Miike Takashi’s Crows Zero! Based on the manga Crows by Takahashi Hiroshi, the movie tells about Suzuran High School, a school filled with gang violence. Bloody fist fights and hallway face-offs are the norm at this school, as gangs try to increase their standings. Enter Takaya Genji, the son of a Yakuza boss, who transfers to Suzuran for the sole reason of accomplishing something his father could not do: conquer and control the school. However, Serizawa Tamao, the alpha gang leader and current top, has other plans for him… The movie stars Oguri Shun as Takahashi Hiroshi, and includes other notable cast members such as Yabe Kyousuke, Kuroki Meisa, Takaoka Sousuke, and Yamada Takayuki as Serizawa Tamao. Don’t miss this action-packed, fast-paced movie! Fumiko Nazikian received her Ph.D. in Japanese Linguistics from the University of Sydney, Australia. 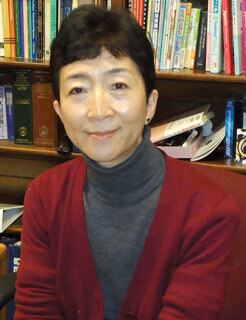 She joined Columbia University in 2004 as the director of the Japanese language program. She has taught all levels of Japanese from elementary to fourth year Japanese. She also teaches at the Columbia Summer M.A. program in Japanese Pedagogy. Prior to arriving at Columbia, she was a senior lecturer at Princeton University where she taught for 16 years. She has also taught at the Australian National University, the University of Sydney, and the University of New South Wales. Her research interest is in linguistic pragmatics focusing on topics such as discourse analysis and exploring links between linguistics and language pedagogy. She has acted as a reviewer of the AP Japanese Language and Culture Course and served as a committee member for the Japanese SAT. She was elected to the Board of the Association of Teachers of Japanese (ATJ) in 2008. Kendo, the “Way Of The Sword” is the traditional Japanese style of fencing that today is a modern martial art practised throughout the world. As the roots of Kendo can be traced back to early Samurai time and later on to the study of Bushido – the “Way of the Samurai” – knowledge of the past is a determining factor to really understand the meaning of Kendo. By striving to achieve a unity of body and mind, Kendo is both a sport, an art and a way to coordinate the physical-emotional-mental dimension. The ultimate goal in practicing Kendo is to make the art thoroughly a part of one’s self. 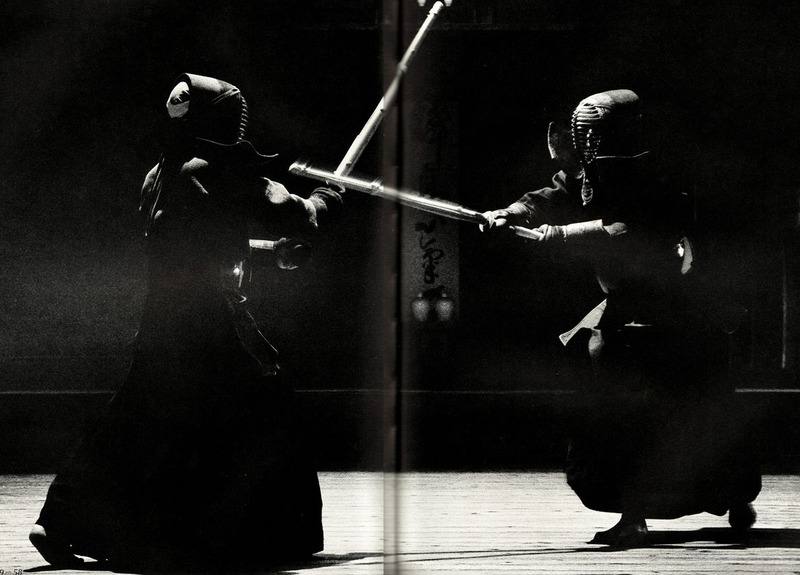 Like breathing which is independent of one’s will, Kendo’s objective is to achieve a state wherein one can respond with the best of tactics unconsciously. One shall never allow one’s soul, one’s inner spirit, to link itself to the technique. For many Kendokas Kendo is not only a sport but also a way of living and building a character. 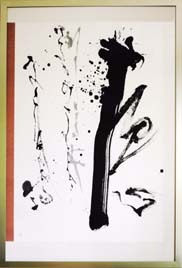 Masako Inkyo began Japanese calligraphy training at the age of three. At six, she commenced her extensive training under Kojo Uemura, a master calligrapher of the Wakaba Shodo School. During her tenure as a disciple of Master Uemura, she won golden awards in numerous Japanese Calligraphy competitions. Ms. Inkyo studied Shodo at the Japanese Calligraphy Department at Yasuda Women’s College, the only college with an exclusive Shodo education program. Shodo education at Yasuda Women’s College focuses not only on Chinese Characters, but also stresses Hiragana or pen calligraphy. At Yasuda Women’s College, she studied under Master Masao Inoue, Chairman of Japanese Calligraphy Education Association. 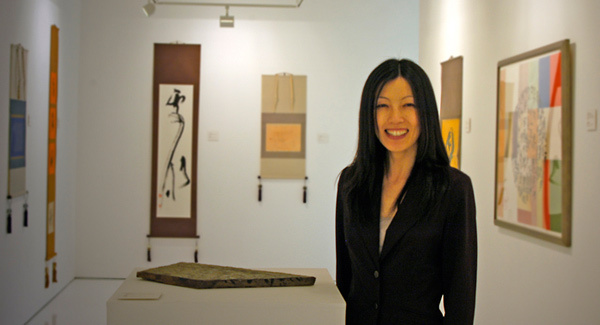 In New York, Ms. Inkyo has most notably given exhibitions at the R. Smith Art Gallery, the FLUSSO Gallery and Sumi NY Gallery. She currently teaches Japanese Calligraphy at the Japan Society New York. Her interests are pushing beyond the rigid structures that traditional calligraphy demands. She experiments with different colors and mediums across her work. She is most inspired by nature, not necessarily objects and images, but feelings and moods. In her work, themes of peacefulness and harmony often serve as the basis, if not the backdrop, to the scene. The founder of the Japanese Program at Hunter, Professor Kawashima obtained her BA and MA at Columbia University and is a PhD candidate also at Columbia. Her area of concentration is Western and Japanese Art History. She has been teaching Japanese at Hunter College since 1988 to present. Her publications include A Dictionary of Japanese Particles published by Kodan-sha International and Oxford University Press (1999), which enjoys the reputation as one of the “Best Five” Japanese language textbooks in Japan; A Doctor in Your Pocket: Basic Medical Terms in English and Japanese co-authored by John J. Olichney, MD published by 3A Corporation (2000); Medical Communication in English and Japanese published by Nitto Sho-in (2002); and A Girl’s Record, Around That Time-1935-8/15/1945 and 9/11/2001 published by Kodan-sha (2006), which is a World War II memoir based on her real-life experiences. She has given lectures on world peace at Lehman College in NY, Hiroshima, Tokyo, and various other cities throughout Japan. She has served as a Committee member to select candidates for the JET (Japanese Exchange & Teaching) Program, a Japanese-government sponsored program that sends English-speaking college graduates from throughout the world to teach English in Japan. 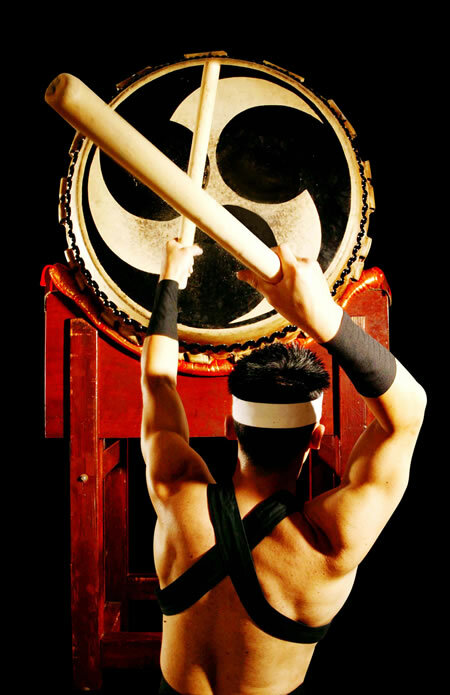 The art of “Taiko” – Japanese for “drum” – has been regarded as sacred since ancient times. The sound of each Taiko drum is the result of the bond between the performer and the spirit of the trees from which the drum was built. From Shinto and Buddhist rituals to celebratory festivals, the Taiko is said to be the voice and spirit of Japan. Its rhythms have an irresistible draw that summons people to seek out its source, reflecting the sounds of nature and the changing of the seasons. Taiko was first used to drive away evil spirits and pests harmful to crops, and to help motivate troops during warfare in feudal Japan. In the last decade, Taiko has been redeveloped from its primitive folk art roots into a powerful, sophisticated synthesis of rhythm, harmony and body movement. Today, Taiko performance is a union of rigorous mental and physical exercise, a popular form of entertainment often seen at festivals. There are many Taiko groups forming around the world, each group combining different rhythmical and musical aspects, often along with martial arts training, to create their own unique style of drumming. Look forward to it at the Cultural Showcase! ECJAL is coming up in two weeks! Register AND buy tickets online!!! The East Coast Japan America League (ECJAL) was founded in 1992 at Brown University as an annual conference that brings together Japanese associations and students from universities in New England and the Mid-Atlantic Region. to discuss different topics pertaining to Japan’s influences in America. Each year, an ECJAL conference is organized by the Japanese Culture club of a different university in the East Coast, in order for Japanese and Japanese-American students of different schools to network and share experiences, as well as to discuss different topics pertaining to Japan. This year, our theme is “道: The Way”.